This week we have music from Sigur Ros and a giveaway from Threadsence. The tutorial below was inspired by one of the looks from Threadsence's Untamed Lookbook. Be sure to check it out! 1 - Pick up a medium to large size section close to one ear. 2 - Wrap the section across the back of your head and bring it to the other side. 3 - Pick up another equally sized section close to your other ear. 4 - Bring the two sections together and secure them with an elastic right behind your ear. 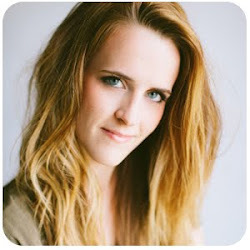 5 - Take the ponytail and create a fishtail braid, securing the end with an elastic. 6 - Use your fingers to pull on sections of the braid, making it loose and messy. 7 - Finish by cutting the elastic at the base to remove it. Sigur Ros is my all time favorite. Lucky for me they are coming all the way from Iceland to the music festival I am going to! Can't wait, and can't believe how good they sound live in this video. 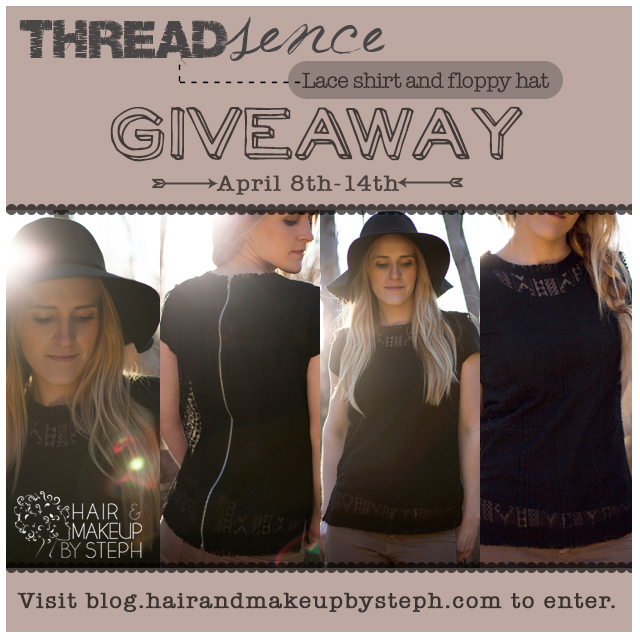 This week Threadsence is giving away this cute zip up lace shirt and black floppy hat . Be sure to check out Threadsence if you haven't already. I love their stuff! 1 - Follow Hair and Makeup by Steph on Instagram. 2 - Follow Threadsence on Pinterest. 3 - Pin about this giveaway to Pinterest using the graphic above, using the hashtag #Threadsence. 4 - Comment on this post with your first and last name. Contest ends on Sunday April 14th at midnight.